DO I HAVE TO GIVE UP MY HOUSE WHEN I FILE A ST LOUIS BANKRUPTCY? No, you do not. You given the option to retain your home (with certain qualifications) when you file a St. Louis bankruptcy. But such an asset has to be listed in your bankruptcy nonetheless. For most people, real estate is the most important and valuable asset they own (not to mention the fact that it is the place where you and your family happen to live). So the idea of losing such a prized possession causes quite a bit of nervousness. But the main question to answer in such a situation is whether or not the house has significant equity. The answer to that question will help determine the outcome of your house (and also what chapter of bankruptcy you will file). First of all, the state of Missouri allows for a $15,000 exemption to cover any equity that may exist in your home. So let’s say that your home has a loan against it for $100,000. And you believe that the fair market value of the home (in other words, what you realistically think the house would sell for if you were to put it on the market) is $110,000. In this situation, the 15K exemption that the state provides would more than cover the equity in your home. As a result, there is nothing the Bankruptcy Trustee or court can do with it. So if you wish to retain the real estate, you would just continue to make your regular monthly payments to the creditor. Of course, the value of your home may be less than what you owe. In this kind of situation, the house is upside down, and obviously no equity exists at all. Keeping your home with these kinds of numbers is easy. But let’s say you are one of the lucky ones who actually has a lot of equity in your home. What happens then? Well, if the goal is to keep the house, then a St. Louis Chapter 7 bankruptcy isn’t going to help too much. If you file a Chapter 7 in which a piece of real estate has a great deal of equity, the Bankruptcy Trustee will likely sell the asset and use the proceeds to pay towards your unsecured creditors. So if you have a ton of equity, then it is good bet that you will have to file a St. Louis Chapter 13. This type of bankruptcy allows you protect your home, regardless of the amount of equity that may exist. The only difference is that you will most likely have to pay a portion of your unsecured debt back. 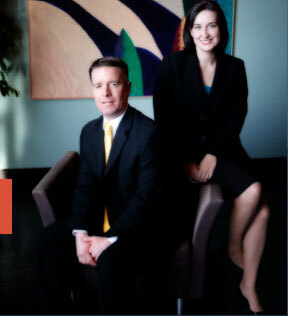 Either way, it is of vital importance that you seek the advice of an expert St. Louis bankruptcy attorney when you are contemplating bankruptcy in Missouri. We have two main offices: in the Central West End of St. Louis, at 1 North Taylor, 63018; and the Twin Cities of Festus / Crystal City, at 1000 Truman Blvd (Highway 61/67), 63019. The initial consultation to discuss your case is free of charge. So call today to learn more! !